Epresskit for Bill Hill - Bassist!! For me, the bass bug bit and bit hard in 1984. Hearing that low end groove struck a chord deep inside. I started playing bass on the side and working as a sound tech on the weekends. Before long I had my own group together and was on the way to the next 3 decades of live performances with the top live acts in the upstate New York area. I also released an independent album â€œthatâ€™s all she wroteâ€� with the then highly popular band ALLIANCE in 1996. This was well received and enjoyed much local airplay. With bass in hand, I have done 100â€™s (likely thousands) of gigs. 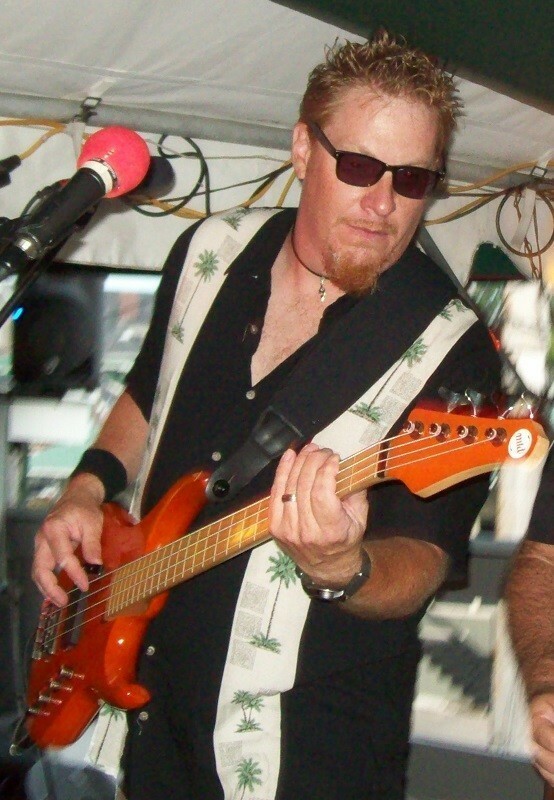 Along with my own bands, I have filled the blanks spots of the calendar as a â€œfill inâ€� live bass player. My latest group, TOUGHLUCK, is busy as one of upstate New Yorkâ€™s most popular vintage rock party bands. With 80-100 performances per year, bass isnâ€™t just a hobby -Itâ€™s in my DNA, a lifestyle! Iâ€™ve played most every style of music at one time or another-metal, classic, funk, and pop-you name it, Iâ€™ve done it at least once. I am currently a MTD KINGSTON BASSES endorsed artist. I needed the finest tools of the trade- and the MTDs filled that slot perfectly! You can find out more about my love affair with the MTD basses at their website, under the artists tab (link below). I have also joined the BARTOLINI pickups emerging artist program. Nothing goes better than the best basses with the best pickups! My newest endorsement is with TECAMP USA This is nothing short of the finest, high quality bass amplification available today.